When Frank (not his real name), a new employee, stretched up to take off a part from a heavy stamping press, his sweat shirt pocket caught on a switch and the machine started, pinning his lower arm. As Frank was put on a gurney, his supervisor, Ralph, came with Hazel, the human resources director. Hazel held out a clipboard. “You need to file a report, Frank,” she said, “so you can get your worker’s comp and your medical treatment will be paid for.” Frank signed the form. Within the hour, a warning sign about wearing loose clothing was plastered on the machine. The next day, a repairman put in a light sensor to prevent accidental activation by loose clothing and a pull-back safety device. Frank’s lower arm was amputated and he could not do his job. A coworker who visited him in the hospital told him the same thing had happened several times before. Everyone had complained to the supervisor and company manager but nothing had been done about the faulty switch. The state labor department, which had investigated, had even levied a large fine on the company, stating Frank had not been properly trained before using the machine. Frank filed a personal injury lawsuit against the company for negligence. The company’s lawyer argued that Frank was barred from suing since he had his benefits under the state’s worker compensation law, which protected both the employee and the employer – you can’t file a work comp claim AND sue your employer for pain and suffering, or to punish the employer for the injury, the company insisted. The law covers the company’s negligence the same way it covers you for your own negligence on the job. Frank’s lawyer pointed out to the court that, while generally an employee who makes a worker’s compensation claim may not file a personal injury lawsuit against the employer, there are two possible exceptions to that rule. An employer may be sued if the employer intentionally causes an injury to an employee. The court ruled that, because the company had not fixed the machine after the first incident, another serious injury was inevitable. The company had deliberately ignored this knowledge, had not posted any safety warnings, or trained its employees on how to use the machine, which was equivalent to “intentionally” causing the injury. Frank won his case. 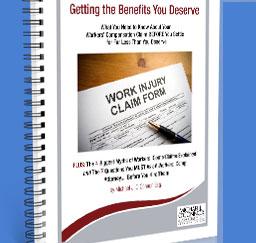 If you feel your basic rights have been denied under the worker’s compensation laws, the law firm of Michael J. O’Connor and Associates, LLC, offers a free initial consultation. Our legal team is committed to achieving positive results for its clients in an efficient and cost-effective manner.